Asia leads the world in terms of population and possibly resources. The Asian culture is also incredibly rich, diverse and fascinating. This makes games and slots with an Asian theme to be incredibly popular, with such popularity being enhanced by the rich colours and diverse entertainment that’s invariably found on Asian-themed slots. The Fortune Charm slot has a standard Chinese theme and is made by Red Tiger Gaming. It has all the colourful icons anyone could desire, a 243 ways to win feature, a free spins bonus and is accessible on all devices to both high and low rollers. Do read on for a detailed review. Fortunes Await In The Fortune Charm Slot! 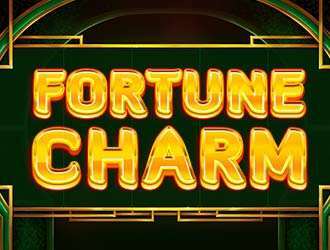 The Fortunes Charm slot has five reels and 243 ways players can potentially strike it rich. 20p and ₤500 make up the lowest and maximum bets and the predominating colour on the reels is gold and red. Asian-themed playing card icons form the low values, while coins, pendants and a goldfish are the high values. The most lucrative icon on offer is a jade dragon and is worth 1.5x, 4x and 10x the stake when players land 3, 4 or 5 of it respectively across a payline. The wild in the Fortunes Charm slot is a red phoenix. This icon replaces all others when forming wins. Fortune Charms Feature– This bonus is activated when the provided Fortune Charm boxes appear on the reels. These boxes all change to an identical icon and a payout is then made. These boxes often have a multiplier value that can reach 5x, with this leading to hefty wins when the boxes transform into either wilds or high-value icons. Free Spins– Triggering the free spins bonus requires players to land a trio of the pearl scatter icon. The number of free spins to be awarded will be determined when players spin a wheel and this can range from 5 to 50. Should the Fortune Boxes appear on the reels during the free spins bonus round, they stay in place, only moving a single position for each consecutive free spin. The Fortune Charm slot has a really lovable Asian theme, plenty of colours and an easily lucrative bonus mode. It is also easily accessible to anyone with an internet-enabled device, easy to play and filled with quite a bit of charm and class.